Silver boots from AcnePerfume ‘Rain’ from Commodity. 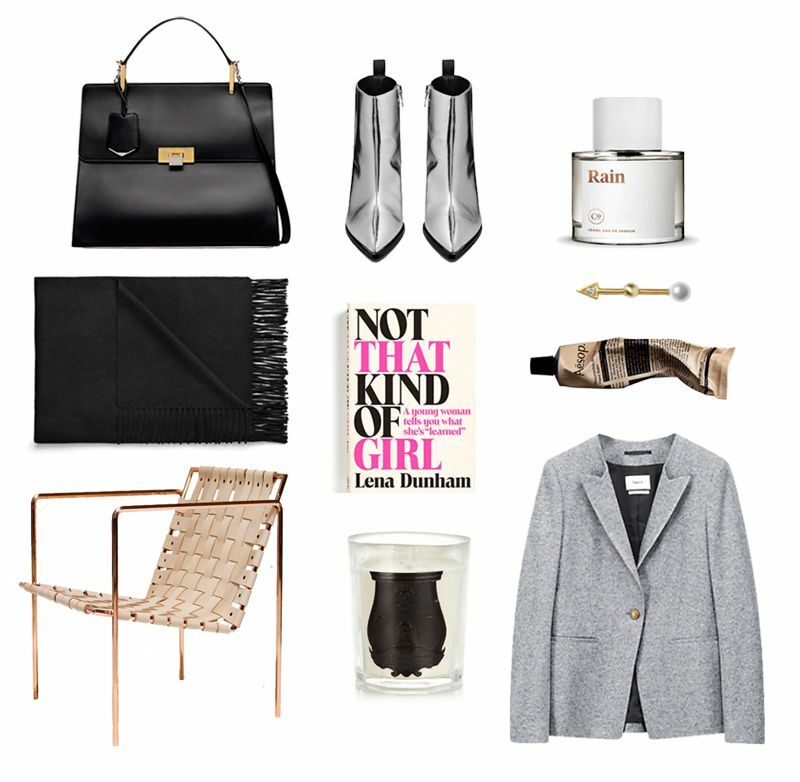 Cashmere scarf from Acne.‘Not That Kind Of Girl‘ by Lena Dunham. Pearl earring from Line & Jo. Resurrection Aromatique Hand Balm by Aesop. Candle from Cire Trudon in collaboration with Giambattista Valli. Grey blazer from Filippa K.